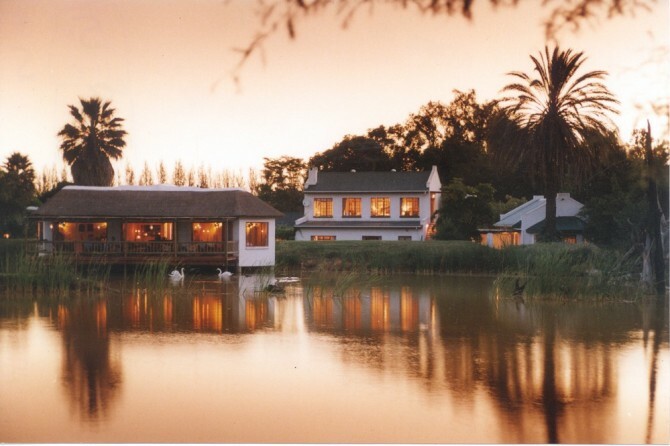 Fred recommends Woodall Country House and Spa located in the Sunday River Valley in Addo. This boutique hotel offers five star luxuries and is close to the famous Addo Elephant Park. Some serious pampering awaits you, so be prepared to feel relaxed and rejuvenated. What in the world can be better than to indulge in a place set amongst peaceful citrus orchards where game can be observed at close quarters? It is the ideal base from which to explore the adjacent nearby game reserves such as Schotia, Amakhala, Pumba, Kwantu and Elephant Back Safaris. Honeymooners are specially pampered in an environment of peace and privacy. Stylish, regional cuisine is served in the thatched dining room with views of resident herons, cormorants and rare waterbirds. The cuisine is inspired by the flavours of local ingredients and freshly picked herbs and vegetables. Complementing the menu is the private underground Diamond award-winning cellar, boasting a unique and comprehensive selection of fine South African wines. The Spa, a sanctuary for relaxation, flows onto a salt water pool, fringed with palms and a waterfall. Facilities include a vitality studio, steam room, vichy and chromatherapy shower, sauna, hydrotherapy bath and spacious double showers. The gym, a vibrant energetic space offers modern cardiovascular and strength training facilities. Addo's greatest appeal lies in the fact that it is only ten minutes away from the internationally renowned Addo Elephant National Park and offers perfect Addo accommodation. 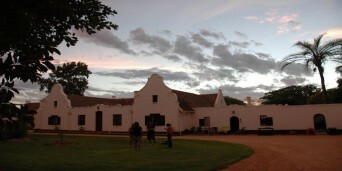 As such, the tiny hamlet mostly serves as a gateway to the park and its remarkable Addo Elephants. In and around town, visitors will find several guest farms, restaurants and eco-attractions like the Bushveld Flower Reserve and the Raptor and Reptile Park. Of special interest is the Dung Beetle Breeding Station, where one might learn more about the endangered flightless dung beetles unique to the Addo area. The little town is about an hour's drive from Port Elizabeth and is a citrus farming community that serves mainly as an appendage to the park, offering accommodation in Addo and a place to do some shopping before visiting the elephants. It is a beautiful area where Addo is situated and is bordered by contrasting thick groves of Spekboom, open grassy patches and some kloofs with woods. Addo lies in the Sundays River Valley bordered by the Zuurberg Mountains that offer some amazing horse riding and hiking trails. And afterwards you can head back to your accommodation Addo offers, and have a peaceful nights rest. Just outside of Addo is the Addo Elephant Park, which is also home to Cape buffalo, black rhino, a range of antelope species and the rare flightless dung beetle. In fact the park markets itself as South Africa's first 'Big Seven' reserve. The rhino, lion, elephant, leopard and buffalo's numbers have swelled to include the southern right whale and great white shark, since the park now extends to the sea and some offshore islands. The Sundays River Valley has so much historical, cultural, sporting and scenic interests. Come see this tranquil and evergreen valley and mile after mile of lush citrus trees bearing fruit all winter and bearing their blossoms in springtime. Both the Fitzpatrick Look Out and the Kirkwood Look Out have stunning views across the valley. For the more adventurous, there are 4X4 trails. 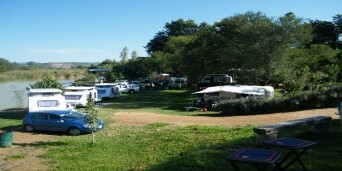 Accommodation in Addo ranges from luxurious to economical. The bush camps (tented or rustic cabins) on the banks of the Sundays River offer fishing, canoeing, abseiling, bird watching and boating. Stay in Addo and experience one of the most beautiful parts of South Africa.